Welcome to the nanoparticle analysis resources page. Here you will find a list of resources that demonstrate how the FlowCam imaging particle analyzer can be used for nanoparticle analysis. These include posters, interviews, product brochures, published research papers, and blog posts. Visit the Nanoparticle Analysis page for an explanation on how the FlowCam works and details on the instrument and software used to perform this research. 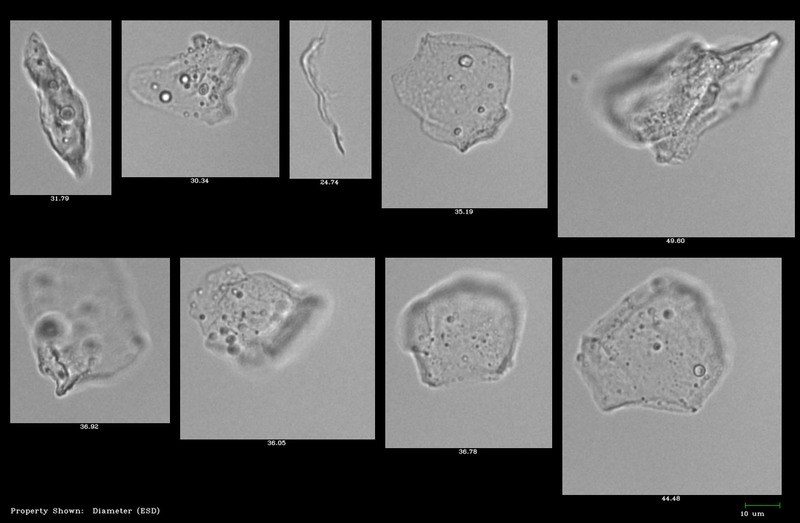 Biotherapeutic protein standards imaged by the FlowCam Nano. "FlowCam Nano Provides Counts, Sizes, and Images of Nano- and Microparticles: Application to a Therapeutic Protein Pumping Study" Her et al.